28 Jun NATURE COAST GOLF TRAIL ESCAPE FOR $127 PER DAY! Come and experience a serene golf destination and enjoy Florida’s Nature Coast Golf Trail. Florida’s Nature Coast is located about 1 hour NW of Tampa, or about 1 hour West of Orlando. Your package will include a Deluxe Room at Plantation Resort at Crystal River, conveniently located within minutes to hidden gems of the state. 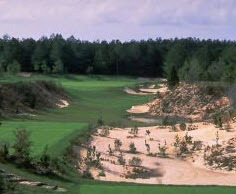 The area courses are all highly-rated, including Pine Barrens and Rolling Oaks at World Woods (Top 100 in the U.S.), and while typically overlooked, they aremust plays in Florida. 36 hole day at World Woods Facility – 2 Top 100 Courses & Florida’s Only 5-Star Public Courses! Extra days and golf rounds may be added.